After the first try at pork chops, it's taken some reading to get me on to my next try at pork chops. I got a little recipe. Wanna hear about it? Here we go! Mix the first five ingredients in a large bowl. 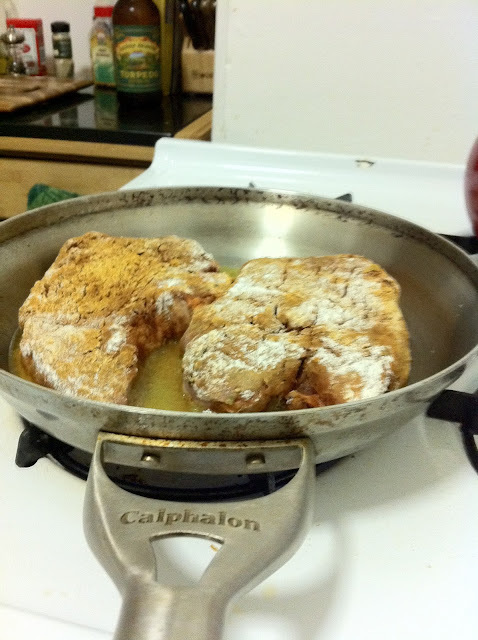 Brush the pork chops with two tablespoons of olive oil total. Coat with the spice mixture. 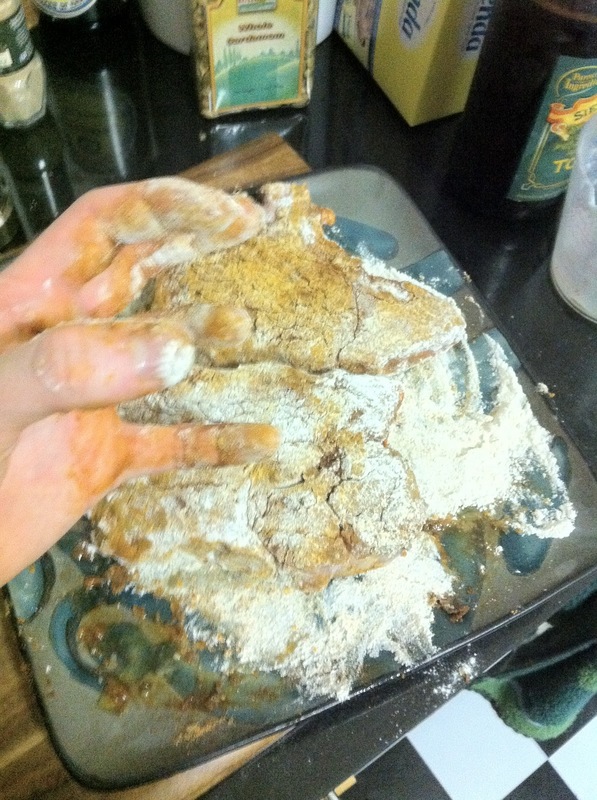 Put the flour in a large plate and dredge the chops. Pre-heat oven to 400 degrees. Also heat the other two tablespoons of olive oil in a large skillet on high. 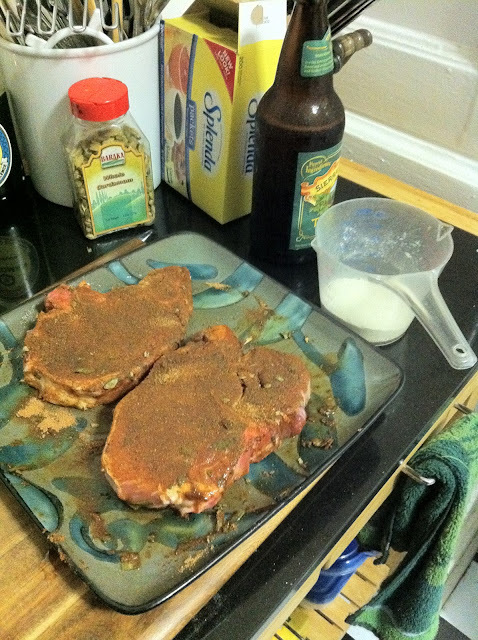 Brown the pork chops two minutes per side. Transfer chops to the oven and cook for ten minutes. Remove from oven and let rest. Am I going to fry up the chops or my fingers? Okay, it's just the chops. 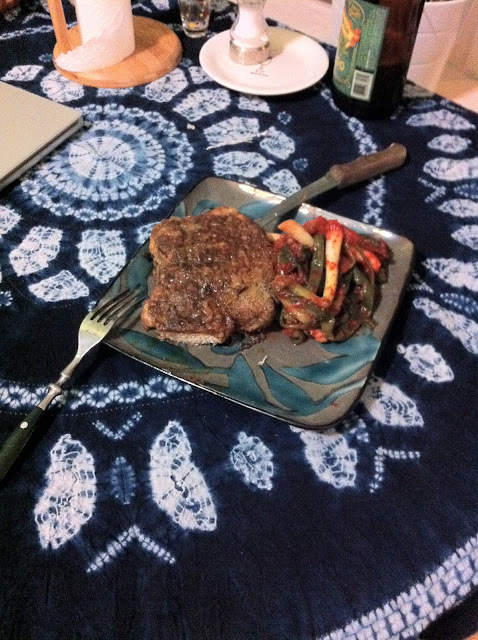 I served the chops with some scallion kimchi. In the end the chops were great, though I'm still not ready to make them for other people. I also would use scallion kimchi sparingly. It's very strong. Your soundtrack for this entry: Ghost Brigade - Clawmaster.